Great stuff you’ve got your Receipt Bank account setup. What next! You’ll need to start loading invoices and receipts to start the cleansing process. But there are so many options!! Throughout this blog we are going to walk you through the eight different upload methods into Receipt Bank. By the time you have finished you will know how they all work and more importantly which method suits you best. 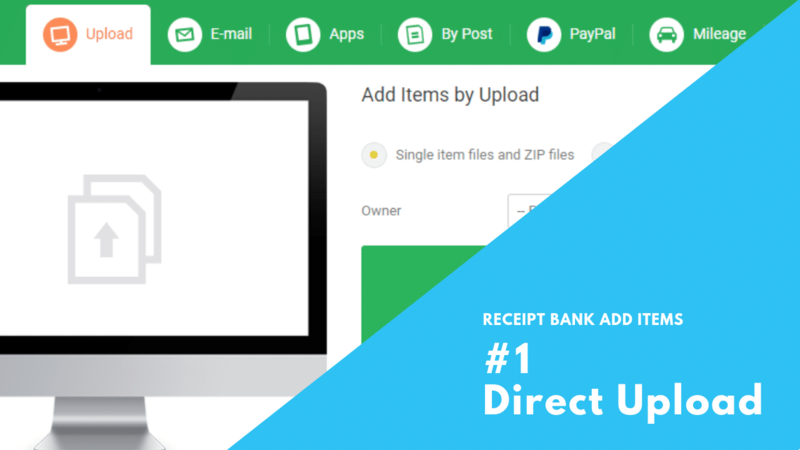 The upload facility within Receipt Bank is really useful when you’ve got PDF documents laying around that you want to process and you want to get them in Receipt Bank quickly and easily. From the add items menu you choose add items and by default the first page you always come to is the upload screen. You need to choose an owner because until you tell Receipt Bank who the owner is it won’t allow you to upload files. If you’re an admin you can see all of the other users items which makes inbox management a lot easier because you can filter by users so it does make a difference if you actually use the correct owner when you’re importing data into Receipt Bank. Single item files and ZIP files. Single item files means you are going to upload items that are just a single invoice per file so you’re telling Receipt Bank that each document is one single invoice. If you’ve got a PDF document that’s got six pages to that invoice it will still know that those six pages are a single invoice. Receipt Bank allows many different file types so you can upload JPEG, PNG, GIF, BMP, TIFF, PDF, HTML and .doc as well as zip folders. If you’ve got historical data that you would like to bring across stored in a zipped folder you can do that as you’ll simply dragging and dropping. Multiple item PDFs works well if you’ve got data that you want to bring in for historical purposes and it’s previously been scanned. This will work where you’ve got single page invoices so if you had 50 pages and 50 invoices and they were in one PDF if you choose the multiple item PDF you’re telling Receipt Bank that the document needs to be split and that there are multiple items within it. Now if you happen to have invoices within the file that were more than one page Receipt Bank would treat each page as an individual invoice however there is a merge function within Receipt Bank so if you found it a lot quicker and easier to get all of the data in and extract at a single page items you could then put those multiple page items back together again. Choose “click here to select files” it will go to your computer and you’ll be able to upload documents that are actually sat on your machine or network. Receipt Bank is now going to upload all of those items as it does each one you get a green tick to let you know that it’s been successfully uploaded, and it tells you that those items are now in processing in your inbox so shortly you’ll be able to see those items and you’re inbox. You can also drag and drop files onto the screen to get them to upload. The really nice thing with this function is if you try to upload an invoice from the same supplier with the same invoice number in the file name as you’ve done previously it won’t let you upload it. If you’ve got more than one person using Receipt Bank and one uploaded an item and then another one tried to do it again it would warn that person that that item is already in there, so it tries to stop you from duplicating invoices within your accounting system. This is probably the most widely used option to get data into Receipt Bank primarily because it’s the easiest way to do it. As you don’t have to do any work yourself. In the Add Items > E-mail screen you have a Receipt Bank email address. 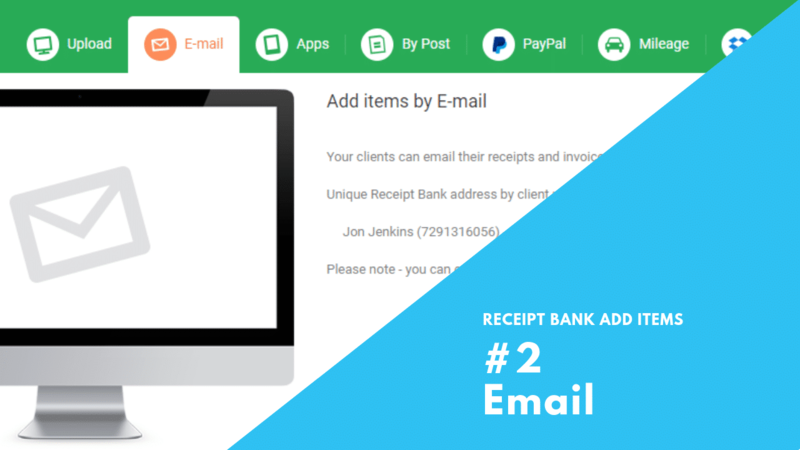 Each user that is setup within Receipt Bank will get their own unique Receipt Bank email address. When you set up your Receipt Bank account it will give you a default a Receipt Bank email address, but you have the ability within your account settings to change that to something that’s unique and easy for you to remember. Try and choose an email address that is easy for you to remember because you want to be able to provide this to suppliers if you have an account where the only documentation, they ever send is a receipt or an invoice. If you provide them with your Receipt Bank email address each time that supplier emails you a credit note or invoice it would go straight into your inbox within Receipt Bank with no hands and no effort on your part. If you have that supplier set to Auto Publish suddenly, you’ve got seamless hands-free purchase ledger in your business because you’re not touching any paperwork and it’s ended up in your accounting software. Where you cannot provide your supplier with your Receipt Bank email address simply use filters or rules within your mail inbox to have those invoices forwarded into Receipt Bank. If you prefer to check the documents before submitting to Receipt Bank check it over and then forward the email to your Receipt Bank email address. Either way it all has the same desired effect to get the supplier documents into Receipt Bank. The app works better for receipts when you’re out and about so you’ve had that meeting you’ve got that coffee receipt in your hand and it will normally go in the wallet or purse and disappear and you will never get reimbursed for that coffee. Which of course is tax free in your pocket, so it certainly makes sense to make sure that you are capturing these items. 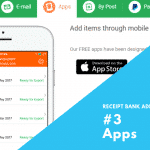 Receipt Bank have made it so easy for you to be able to do that. 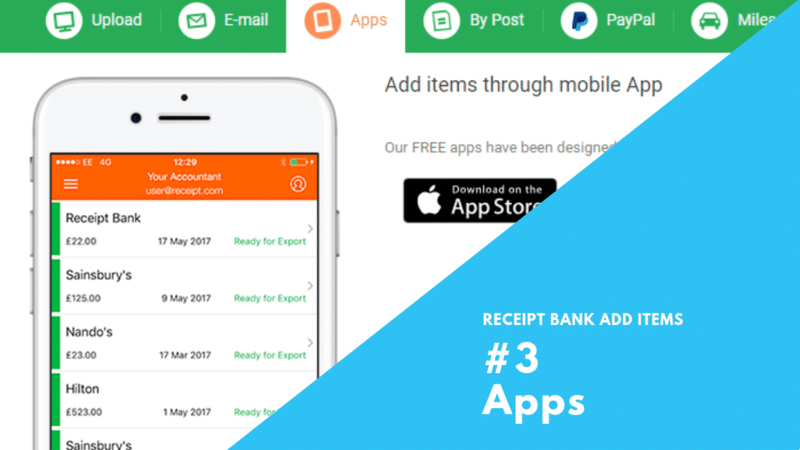 In the app you can see your Receipt Bank inbox which means you can Publish items into your accounting software direct from the Receipt Bank app. To add items into your Receipt Bank inbox you simply capture an image of a receipt using your phones camera. Just click on the camera icon and snap away it is as simple as hitting the paper icon and that is that receipt ready to go. What you need to bear in mind is that Receipt Bank uses OCR for extracting data from receipts so you need to make sure that the quality of the image is legible enough that you can read it otherwise there’s no way that the computer is going to be able to read it. If you take a poor-quality image you can choose to retake and then take another shot. That’s it you’ll get another item that’s popped into your Inbox which is currently blank because the receipt is being processed so it’s extracting that data. When capturing the image there are a couple of options at the bottom called multi so if you’ve got a typically long receipt say you spend a lot of money at IKEA and you can’t possibly fit it all into one screenshot you can choose the multi option and what it will enable you to do is to actually take two or three shots of the receipt if it’s that long. It merges them all together into one document. It really is that simple to send your items across if you’ve got a batch of receipts and you want to sit down and just burn through them it’s so quick and easy to do. The beauty of Receipt Bank is that it is extracting the data for you without you having to do a single keystroke. If you’ve got Auto Publish set up on your suppliers, then it can actually apply rules to it and post it straight into your accounting software as well. You can submit items to Receipt Bank By Post so this option is great for those people who don’t want to upload files or email. Perfect for people who are out on the road quite a bit and would prefer to just put their receipts and invoices into an envelope and send it off. Now this is an extra chargeable fee on top of your Receipt Bank subscription but the advantage of course being that once the items have been sent off Receipt Bank will actually scan those for you, and they end up in your inbox ready for processing. Those items will not be sent back to you. Please only send stuff off that you’re happy for somebody to destroy because they are securely shredded afterwards. If you are entering anything into Receipt Bank that you don’t want someone else to see please, please do not put it in a Receipt Bank Envelope as we have seen instances where some people like to put bank statements into Receipt Bank Envelopes as well as some other very peculiar items which we won’t mention. Somebody at the scanning depot will be able to see those. 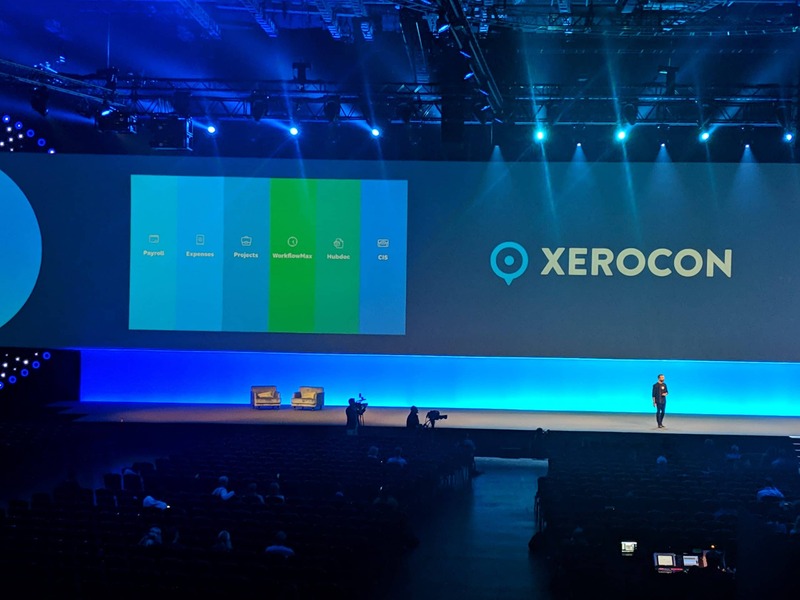 Not many use the post option the main reason being the time delay one of the biggest benefits of using Receipt Bank coupled with something like Xero is having real-time information. What you find is if you’re storing your receipts and invoices up until the end of the month that means they’re only going to get processed once a month and all your data is not as up-to-date as it could be. To turn it on it’s quite simple as you’ve done previously you just go to Add Items in Receipt Bank and then you choose By Post. You will see that by turning it on it will add an extra three pounds cost to your monthly subscription which is quite a small fee compared to the time that it takes you to sit down and process all of your items but again it’s all about speed and how accurate and up-to-date you want your information. If you wanted to turn this on you simply toggle the option on and then you can see you’ve got an option to use Receipt Bank or to self-post. The difference here is if you choose use Receipt Bank they will send you out a branded Receipt Bank envelope for you to use which you pop your receipts into and then send off. These get sent out once a month. If in the meantime you have items that you want to send on a regular basis then we would suggest that you use the self-post option. The difference here is it now brings up a free post address with the details of where the actual Receipt Bank envelope would go. Make sure that you’ve got the free post and the customer reference number on your post envelope then it will know where to go and get processed into your account so you can use either option. 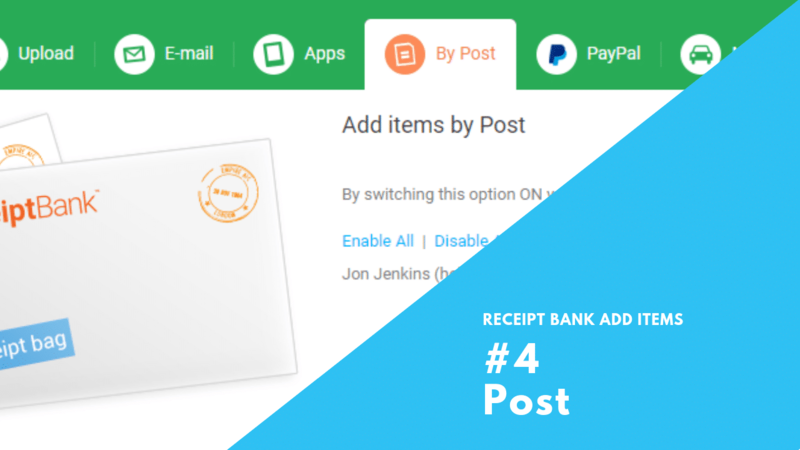 Remember that if you choose the self-post option if you do not switch it back to Use Receipt Bags you will no longer receive the Receipt Bank envelopes. This is actually a bit of a weird one as it sounds like a fantastic feature to be able to integrate PayPal with Receipt Bank if you buy a lot of stuff via PayPal as it gives you the ability to bring that data across into Receipt Bank. Sounds awesome and saves a lot of time but in our experience, it doesn’t work as well. Primarily down to the fact that if somebody invoices you separately or you get email correspondence from PayPal and you put that into Receipt Bank the likelihood is that there’s a difference in the data between the supplier invoice and the PayPal information Receipt Bank might not necessarily pick up as being a duplicate so then you end up with duplicate items in your Inbox. What you tend to find is that once you’ve setup the PayPal integration because it just works in the background you forget that you’ve turned it on. You just forget about it but then you end up with duplicate transactions which is a bit of a pain in the backside because as you just end up deleting those items that are in your inbox because you don’t need multiple copies off the same thing. If you’re going to use the PayPal integration just remember that you’ve set it up. 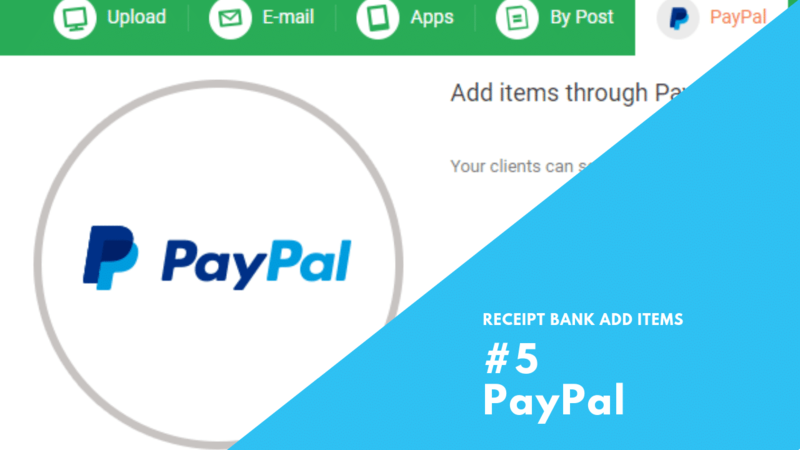 It’s really straightforward to get going Add Items > PayPal tab you’ve got the ability to click a button and enable PayPal you can choose how far back you want to load historical documents. You can go and get historical data for up to a year to work from so all you do is choose enable PayPal put in your PayPal login credentials which is where you purchase your items from suppliers as you can see here and then once that’s connected it really is as simple as that each time you make a purchase through PayPal it will go away and it will bring the data straight back into your Receipt Bank inbox. Within Receipt Bank you are ready to process and it’s straightforward. Now we’re going to talk about mileage it’s the same process as previously mentioned, once you’re in Receipt Bank > Add Items > Mileage. This is not going to be relevant to everybody so if this is not for you then please feel forward to skip as it’s only applicable to the UK market as the app that integrates into Receipt Bank for mileage is called TripCatcher. 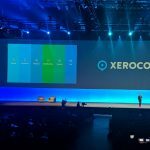 For those who are using a system such as Xero that doesn’t currently offer a mileage tracking app you do have the ability to use something such as TripCatcher which will log your business miles for you and integrate into Receipt Bank. You can add those miles onto an expense claim if you are using Receipt Bank for employee expenses or for yourself of course. As the integration happens from within your TripCatcher account there is not much to see in Receipt Bank. So, if you are interested in recording miles and you want to bin the Excel spreadsheet that you’ve been using or the back of the fag packet that you’ve been writing things on the for months and then never get a chance to reimburse yourself head over to the TripCatcher website. What you’ll be able to see is that you’ve got options in terms of how the TripCatcher or Receipt Bank integration works but more importantly in the app itself you claim your mileage expenses, you can enter recurring trips, you can track your mileage by GPS or using the Google Maps. TripCatcher will even save you money by keeping your VAT bill down because if you enter your car details into the system what it will do is calculate how much VAT you can claim back on the mileage that you’ve been driving for business so if you haven’t previously reduced your VAT bill and claimed back the VAT on your mileage which are perfectly entitled to do the app will actually help you calculate those options. There is a phone app so you can track your miles as you’re going through the month rather than trying to remember at the end of the month where you’ve been and then end up losing that valuable money because you can’t remember. Pricing starts at just £1.49 per month so if you compare that to how much money you’re possibly losing on unclaimed mileage then it’s probably a very worthwhile investment. 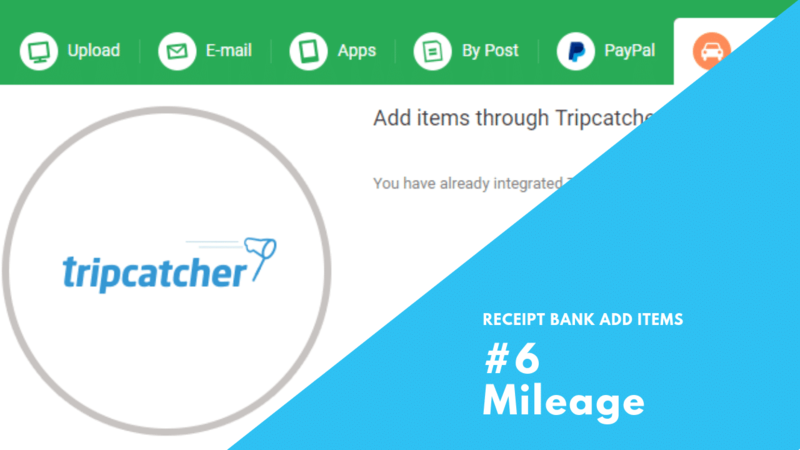 In terms of the Receipt Bank integration there’s not an awful lot to tell you here because you integrate the mileage section from within TripCatcher app itself. 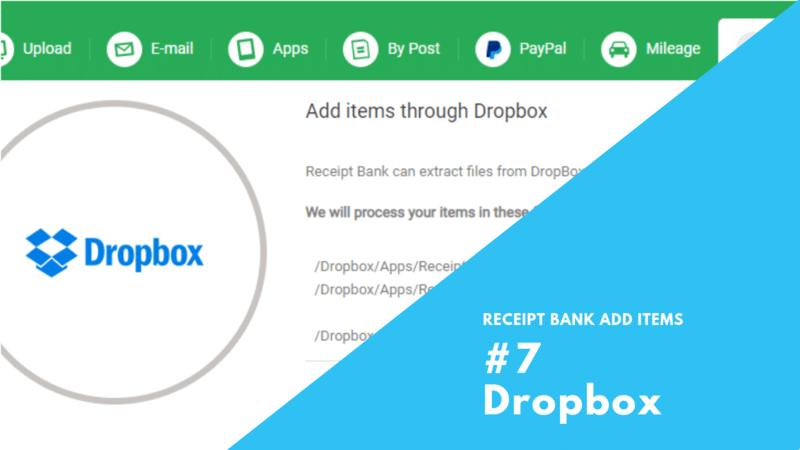 The Dropbox integration allows you to add items to Receipt Bank directly from within Dropbox so you start with the add item section and then go to Dropbox. You only need to enable this the first time that you going to be using it. Once it’s setup you can then just work within Dropbox. What would be good if anyone from Receipt Bank is reading this if you can add something like Google Drive to this as well that would be ideal. From the Dropbox Add Items tab within Receipt Bank you will see a button asking you to Enable the sync. Click on this and you will see that the folder structure within Receipt Bank is replicated within your Dropbox account. If you are now to go over to Dropbox probably allow a couple of minutes to sync and you go to Apps – Receipt Bank within the folder, you’ll have some folders called receipts and invoices for which you can add items. Receipt Bank then sweeps those folders and whenever it finds any new items it will extract them and bring those into Receipt Bank for processing and they will then end up in your Inbox so if you don’t want to spend your life in Receipt Bank and want to maintain a similar workflow that you’re used to which is you get a supplier email it’s got an attachment to it you save it down into Dropbox you can still do exactly that but what you’ve got to remember is to save it into the relevant folder structure so that Receipt Bank can sweep it and collect it for you. What will happen if you put your items into the invoices folder or the receipts folder Receipt Bank will sweep for you and bring the documentation across into Receipt Bank for processing. Once these items have been processed, they’ll be moved into the processed files folder so this is where you’ll be able to store your items and still have access to them locally on your machine should you choose to do that. Any files that can’t be submitted to Receipt Bank because they are not a supported file format i.e. they are not on the list that you can find in the upload section then those will get popped into the unsupported files folder. If you are missing something in your Receipt Bank inbox and you can’t understand where it has gone have a look in the unsupported file section first because you may well find it there. The new Receipt Bank Invoice Fetch option is where you can automatically send Receipt Bank to go and collect invoices where the suppliers no longer send them out. This is normally large corporates that no longer send out documents attached to emails so that you painstakingly go and log in download the document and then upload into Receipt Bank. The team over at Receipt Bank have created this excellent new feature called Invoice Fetch which will enable you to enter your login credentials into Receipt Bank and from there each time a new document is added to your account they will go and collect it and bring it back into your Receipt Bank account. If you have Auto Publish set up on a supplier that means that each month you could end up with your invoice being directly deposited straight into Xero via Receipt Bank and the Invoice Fetch option. In Receipt Bank on the Add Items tab what you’ll be able to see is an additional option called Invoice Fetch. If you simply click on that you will be able to add a new Fetch by selecting browse and then do a search. Simply start typing in the name of the supplier hopefully you’ll see them on the list. There are over 2,000 possible connections and you can contact Receipt Bank if there is anything missing that you would like to have. Find the supplier that you’re interested in click Add enter your login credentials and simply select connect. On some of the suppliers you may find that there are additional options that you need to enter. 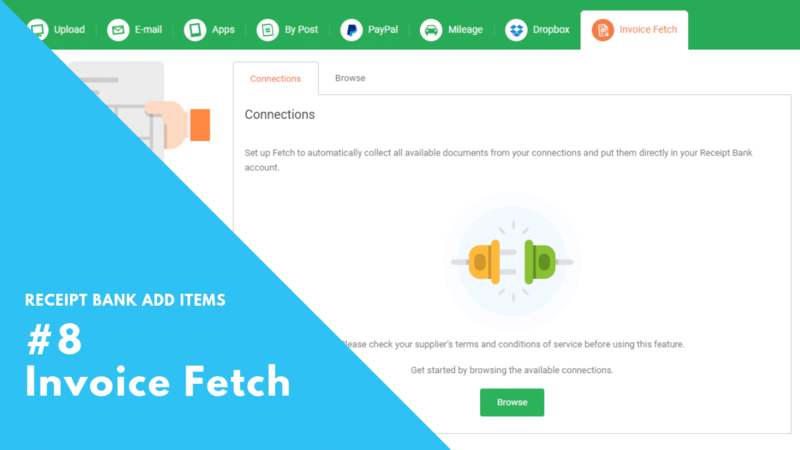 Once this is set up and configured each time a new invoice is deposited with that supplier Receipt Bank will go and collect it from the supplier using Invoice Fetch bring it back into Receipt Bank and process it. If you are using Auto Publish on that supplier, it will then automatically send that invoice across into Xero so it’s now effectively created completely entry less bookkeeping for you it can’t be much simpler than that. So please go ahead give it a try and see how you get on I’m sure you’ll like it. If you have made it to the end of this blog, then well done you. Grab a coffee and mull over the possibilities of how you can make your life easier using one or all the 8 different submission methods for Receipt Bank. This is something we spend a lot of time researching and thinking about.&nbsp; If you would rather spend your time doing something more interesting sign up to our newsletter and we’ll let you know what you need to. Accountant turned tech geek. Father of 3. Enjoys the odd round of golf. Loves burger and chips and cider in the sun.